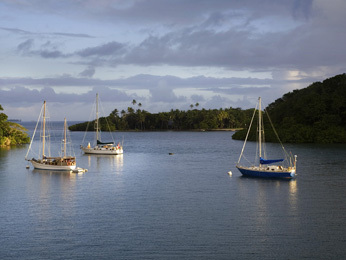 So we have just over four months to go until we jet off to Fiji to get married… it’s an exciting yet daunting thought! It’s stressful putting the whole thing together… Ceremony, reception, decorations, dress, travel arrangements etc, but what has really blown us away is the reaction we’ve had from our friends and family. We kind of thought no one would really come other than our parents because it’s a bit of a hassle, especially in early December, but the support we’ve had for our decision to marry overseas has been overwhelming. So many of our friends and family are coming over to share this with us and I think this is what makes it so special for us. As well as a wedding, it’s going to be a reunion too! Most of Fiancé’s family are in New Zealand so he doesn’t get to see them much, and so many of our friends are now living interstate or overseas (everyone’s growing up and getting careers!). Some of our parents’ close friends are coming too, which is not only very exciting for us but also a testament to the effect close friendships have on our lives and a reminder of how important these friendships are. The Sofitel Resort and Spa in Denarau is the perfect venue and the ceremony and reception are nearly all organised. We have the amazing photographers at Kama Catch Me and the beautiful Liza Emanuele has nearly finished my dress… I feel like a princess. Sarah at Simplethings Press has designed some stunning invitations for us and we can’t wait to send them out in the next few weeks. I’ve lost 10kg so far – “wedding photos are forever”! If possible I would like to head over with a new bikini for every day and wear them with pride… but of course I need to make sure I’m not burnt to a crisp on the day. Fiancé is looking pretty fine too but hey, he always does (don’t tell him, but that’s why I’m marrying him). Other than that all I can say is… This really is going to be the best week of our lives. Kava Ceremonny and Port Denarau. Images from Sofitel Fiji.